Ironically, Google’s Chromebook is the solution to this problem. Just keep your real computer with a hard-drive off line, or use anti-malware and anti-virus programs remove any tracking components that may have been installed. 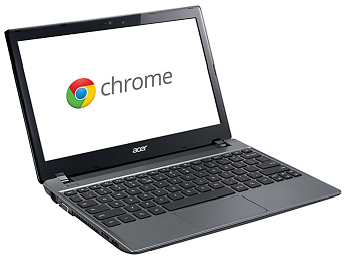 A Chrome book has no hard-drive, and therefore is my choice for using on the internet. I can save PDFs that I download onto a flash drive, I can have a 64GB Micro SD card installed. I am getting the $199.00 ACER Chromebook at Best Buy. You can still use you computer with a hard-drive, but just don’t sign-in to any social networks or email. If you do, say sign-in to Google, then Google is going to be tracking you. Photos of the storage facility where I am storing some stuff of mine, I took with my tablet computer, and only uploaded to the hard drive of my laptop computer. Then Google suddenly post some of the pic on Google Plus. It doesn’t matter if the photos are only visible to me. I did not authorize or give any permission to Google to access the contents of my hard-drive. I did not upload these pictures. I have had my current laptop, which I purchased new last June (of 2013) run very slow, be unresponsive and even freeze. It seems Google is using it’s software tricks to have my computer work for it more while having my computer deprioritize me, when I am trying to use my computer. The problem is only when I am online, offline, my computer is very fast. 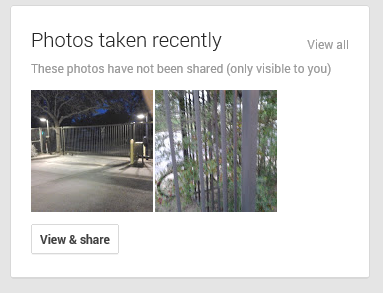 If Google is accessing peoples photos without authorization from the owner of the pics, then what else are they copying (stealing) from my computer? I DON’T WANT GOOGLE COPYING MY HARD DRIVE OR HACKING INTO MY COMPUTER TO ACCESS MY PHOTOS THAT ARE ON MY COMPUTER. THIS VIOLATES MY PRIVACY RIGHTS AND IS AN INVASION OF PRIVACY. I DON’T TRUST ANY PERSON OR ENTITY THAT HACKS INTO MY PERSONAL COMPUTER AN ACCESSES MY STUFF, AND AN ESPECIALLY CONCERNED WITH AND PROTECTIVE OF WORKS THAT I CREATE WITH MY WORD PROCESSOR SOFTWARE. THIS PERTAINS TO “INTELLECTUAL PROPERTY LAWS”.